Pope Francis is once again making headlines for a message which may have contained a positive comment on families headed by lesbian and gay couples. The reason that the above sentence contains may is because, as has happened before, the pope’s comment is somewhat cryptic and open to interpretation, not to mention that the Vatican is downplaying any gay-positive intent. Through a message by one of his staff members at the Vatican Secretariat of State, Msgr. Peter B. 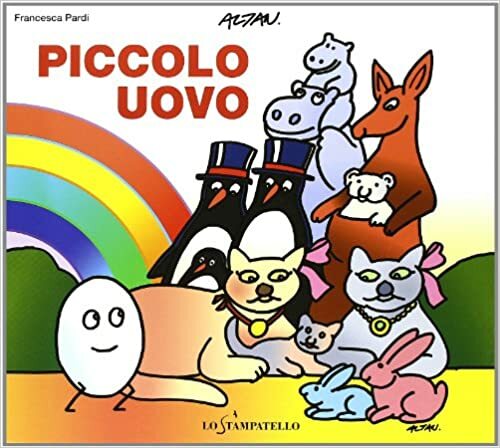 Wells, the pope sent a message of encouragement to an Italian author, Francesca Pardi, who recently penned a children’s book about families which has been controversial in Italy because some of its characters are gay penguins and lesbian rabbits youngsters. Pardi sent the book, along with other books with gay and lesbian themes, to the Pontiff in June. So, while the pope did not make a direct statement about the lesbian and gay content of the book, he did take the position of affirming the book which has been embroiled in a public controversy, and one which involves Catholics. Hmmmmm. Sounds like a bit of hair-splitting to me. Because Italy does not have marriage equality or protections for lesbian parents with children, Pardi married her wife in Spain, and the couple had their four children in the Netherlands, according to Jezebel.com. So how do we interpret this latest cryptic message from Francis? While I try to be cautious of over-interpreting his statements in a positive light, I can’t help but think that he, and his staff, have to know what they are doing and how the public will react to their comments. He has had too many ambiguously positive LGBT statements over the past few years for this to be merely accidental. At the same time, let’s not rush to assume that Pope Francis is supporting marriage equality. His clear negative statements about legalizing marriage for lesbian and gay couples are a clear indication that he opposes such initiatives. I think that Pope Francis is showing Catholics that they can interact politely with people with whom they disagree. He is not presenting content to the debate, but modeling how the debate can take place. As I’ve said before, that, in itself is a step forward. I believe that once the debate about LGBT issues can occur civilly in the Church, then we are on our way to taking steps towards greater justice and equality. As I’ve also said before, though, we have to recognize this phase as a first step, and not relax into complacency. There is still much work to be done to achieve full equality of LGBT people in the Catholic Church. There’s never been any suggestion that Francis wants to change Church “doctrine”, or that he supports gay marriage. What he has done consistently though, is to model the more complete teaching, which emphasises “respect, compassion and sensitivity”, and an openness to dialogue. This is indeed a most important first step – which will inevitably lead to more fundamental change, later. That dialogue will amply demonstrate to the ideologues the abundant internal contradictions inherent in Church teaching as it stands, and once again, change in orthopraxis will lead to change in orthodoxy – as it has always done, throughout the history of the Catholic Church. Yes, Terry — but the problem is that the change in orthopraxis, and eventually in consensus orthodoxy, may well require another few centuries, given the abysmally slow “bit rate” at which the entrenched hierarchy inputs desperate messages from the faithful congregations they’re supposed to serve. More and more, I think the Catholic Church is the textbook role model of a horribly dysfunctional organization. It’s like “Jesus Versus The Pharisees” in the Gospels — but it’s running in “Groundhog Day” constantly-repeating mode! So how do we crack the conundrum? Keep up the pressure, I suppose. But people eventually get worn down — and they start to wonder if it’s really even worth the effort to try to fix what’s wrong. In the end, faith is an interior matter — and there’s only so much the hierarchy can do to wreck it. People have got to trust their own hearts and their own consciences. But still, in the current state of the Church, and with rare and precious exceptions (such as Bishop Gumbleton), they’re not going to get much of an “assist on the play” from their so-called leaders. The Roman Catholic Church isn’t the only Christian church out there and not the only catholic church out there. Make of it what you will. I wish Pope Francis would just have the courage to make bold statements about his personal theological opinions. I don’t think he’s done it since his “Who am I to judge?” remark, which was direct and declarative. Of course he’s a Jesuit — and Jesuits have engaged in “slip and slide” rhetorical politics throughout their history. It’s one of their patented specialties. But I’m wondering if a “slip and slide” rhetorical waffle is what the Church truly needs, at this critical juncture in its modern history.